Stephen VanSlyke, Long-time secretary for SSNB-retires. Shown to the left, Rambha Pershad SSNB President presenting Stephen with gift of appreciation. Care-Giver Support Group is an informal Group available to the families and primary caregivers of those affected with a long-term mental illness. J. Dean McAllister Memorial Bursary is awarded annually to a high school graduate pursuing a career in one of the Social Sciences. Applications must be received on or before May 25th. ACHIEVES Literacy & Numeracy is an educational program specifically tailored for persons who have experienced a mental health/addiction disorder and are now coping well enough to try a new challenge through learning skills or upgrading skills lost through trauma. 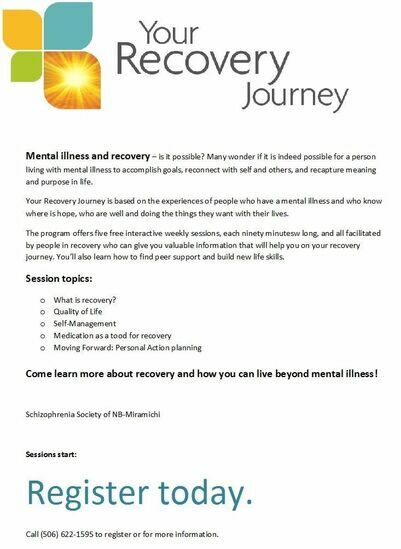 ACHIEVES Employment Skills is a valuable tool in teaching employment skills to those recovering from a mental illness/addiction. Our mission is to provide support and training in the participant's journey to gaining meaningful employment and achieving self-sufficiency. Walk of Hope is a major fundraiser that takes place annually in May. Volunteers and members collect pledges and walk from Walmart to Seamen's Hospital where participants can enjoy a light lunch, great door prizes and grand prize winnings. Cow Patty Bingo is a unique fundraiser, held this year at MacDonald's Farm in Bartibog Bridge. For the purchase of a $5 square, you have the chance at winning $500. This funds programs as well as provides information on the most recent research and medical treatment. 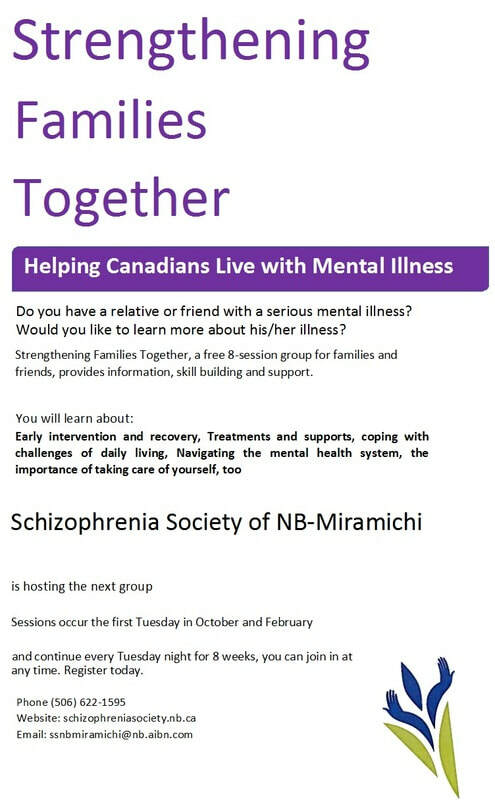 Awareness Days, held annually, usually in September as it is known as Recovery Month, allows the community to see and hear what it is that the Schizophrenia Society in Miramichi is all about. 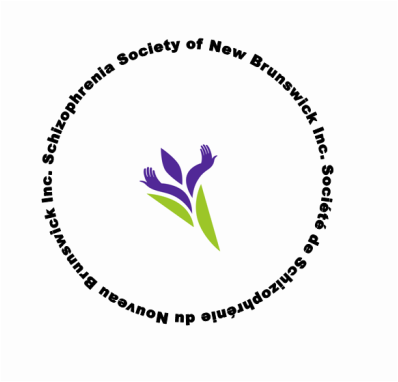 Schizophrenia Society of New Brunswick is pleased to announce that an honorary membership has been awarded to Gregory Zed. 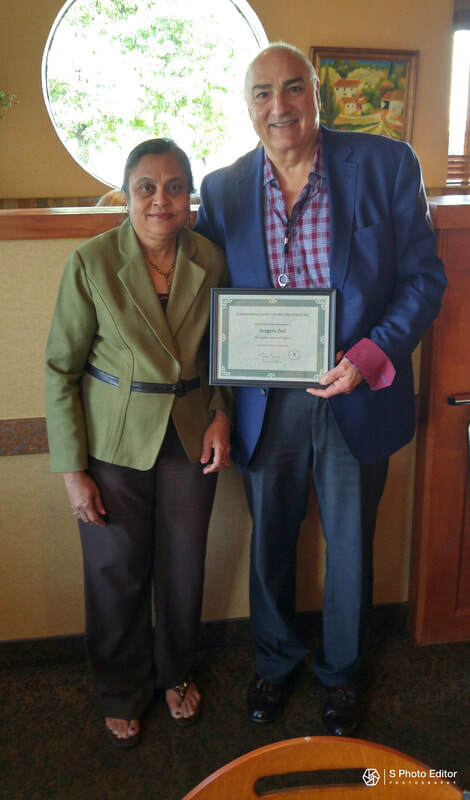 Pictured below is Provincial President Rambha Pershad and newly appointed National Representative for Schizophrenia Society of Canada Gregory Zed.